You educate a boy and you’re educating an individual. You educate a girl, and you’re educating an entire community. Educational scholarships are available to girls who have a proven academic record of success, are from a very poor family and who wish to continue with their High School education. 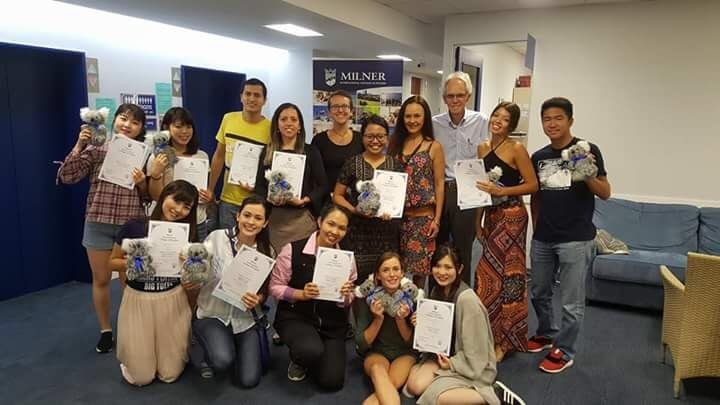 Ibu Desak Rukmini graduated from Milner International College of English on 9.3.18 after completing a 5 week TESOL course.College Principal Mr Warren Milner has supported AAS for many years by providing free scholarships. Sherryn Reid received a Community Service Award at the Curtin Alumni Awards night. She is pictured below with Derek and Wayan Sekarini. Wayan Sekarini was here on a 5 week scholarship from Milner’s International College of English. Dwi Surya Darmi Jayanti from SD Negeri 2 Pegadungan, Buleleng – Bali, visited Western Australia in September 2017. Click below to view a report on his experiences.